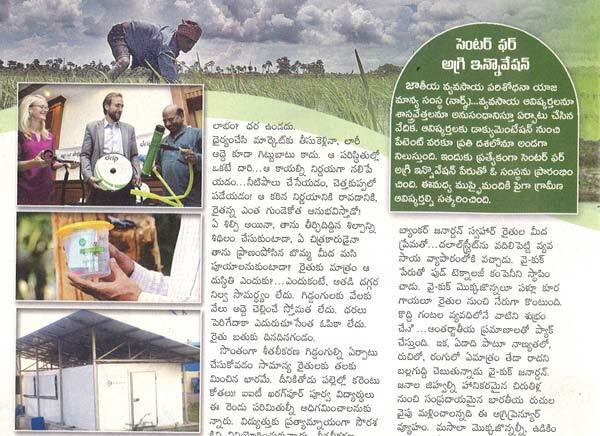 Barrix and Lokesh Makam were featured in an article that talks about agri preneurs helping farmers by providing them with innovative solutions. Gist of coverage: Pesticides are expensive and despite using them, often the farmer gets no relief plus they are harmful too. To help the farmers overcome this problem, Lokesh Makam started Barrix Agro Sciences which offers pesticide-free solutions. By using Barrix products, the farmers get better quality yield that fetch them a good price in the market. More than 2 lakhs Barrix products are sold they are now also used in Tanzania, Mauritius, Sri Lanka and other countries.